← Whose Righteousness – Abram’s or God’s? This verse is problematic in that it is clear that Paul is referring to Genesis 15:6 taken from the Septuagint. And while this verse is translated correctly from Greek to English, the original translation from Hebrew to Greek is problematic, if not outright incorrect. In other words, it appears as though Paul’s understanding of justification arises from the Septuagint’s mistranslation of Genesis 15:6. 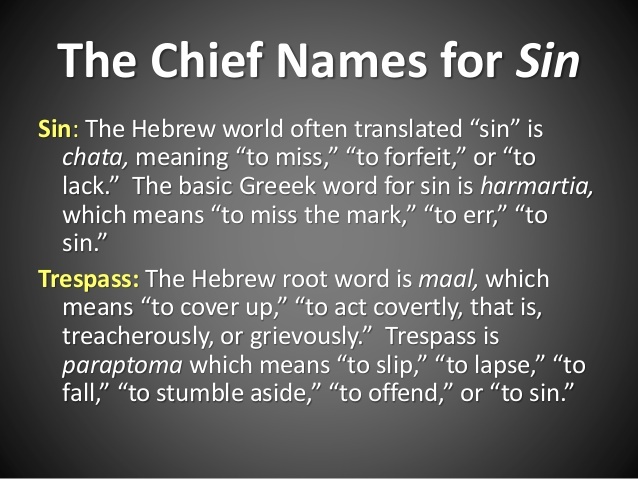 (5:12-13) Therefore as sin came into the world through one man and death through sin, and so death spread to all men because all men sinned sin indeed was in the world before the law was given, but sin is not counted where there is no law. 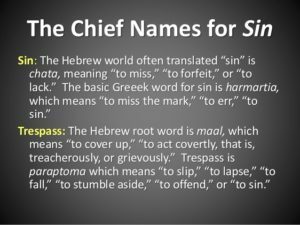 Paul rightly understands that sin, חַטָּאת (chattat – “the sin”), is correctly expressed as estrangement or separation, in this case from God and was precipitated by Adam and Eve when they ignored God’s warning not to eat of the fruit of the tree of knowledge of good and evil. In the Garden of Eden allegory, the primordial couple’s expulsion is symbolic of sin (separation from God) and the loss of immortality (life in Eden). These next two verses form the crux of Paul’s understanding that the estrangement from God and mankind’s loss of immortality were the inevitable consequence of Adam and Eve’s willful disregard of God’s words. (5:18-19) Then as one man’s trespass led to condemnation for all men, so one man’s act of righteousness leads to acquittal and life for all men. (19) For as by one man’s disobedience many were made sinners, so by one man’s obedience many will be made righteous (my emphasis). In other words, Paul’s use of parakoes in 5:19 is entirely consistent with the interpretation that God did not command Adam, but warned (or alternatively instructed) him. The word used in the Septuagint’s translation of vay’tzar is ἐνετείλατο (eneteilato) literally means commanded which, as has been shown by scholars to be highly suspect2)see, for example, the article, Was the Fruit Really Forbidden?. Death entered the world (loss of immortality). Sin entered the world (mankind became separated from God). The second consequence is important because the reason why God expelled Adam and Eve was not because God sought to punish them. God expelled the primordial couple because as immortal but also procreative beings, their presence in Eden (a bounded, fenced enclosure) could no longer accommodate them. In other words, the consequences suffered by Adam and Eve were brought about by their own, willful actions3)For more information see this article, The Knowledge of Good and Evil..
1. ↑ For example, the use of ‘disobedience’ implies that disobedience of God’s commands is the root of sin. It is not and this claim deserves a post unto itself, but if you want to explore this idea, please read and reflect on Joshua’s disobedience of the LORD’s order to kill all the Canaanites when entering into Canaan. 2. ↑ see, for example, the article, Was the Fruit Really Forbidden? 3. ↑ For more information see this article, The Knowledge of Good and Evil.